The lost third album from CJ & Co – that totally groovy, totally tight group who were one of the best things going on Westbound Records in the late 70s! 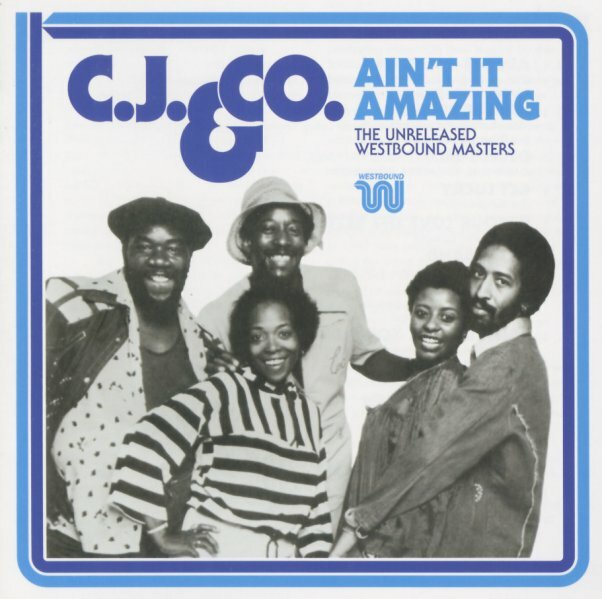 CJ & Co had a groove that was just right for the new club world of the time – but they also had a sharp instrumental approach that was much more tied to the Detroit funk of early 70s Westbound – and their sound was given a fantastic push and polish by the production team of Mike Theodore and Dennis Coffey, who really keep things sounding strong throughout! These aren't leftover cuts, or the kind of material that was rejected at the time – and instead, the whole package has a quality level that really matches the classic Devil's Gun record by the group – a funky disco spectacular all the way through. Titles include "Is Your Love Life Better", "Ain't It Amazing", "Rainbow Music", "Brassband", "Get Lucky", "Rainmaker", "The Golden Touch", "Can't Believe You'd Break Your Promise", "Let Them Talk", "Boogie Love", and a rare "original mix" of "Devil's Gun". All tracks previously unreleased! © 1996-2019, Dusty Groove, Inc.